The magnetic floating stereo table is one of Guizu’s masterpieces design-patented products with intellectual property rights. Creative yet scientific magnetic floating structure combined with inert material improves stereophonic separation and background quietness. Independent magnetic floating platform on which the stereo gears will be free from any interference. 1. 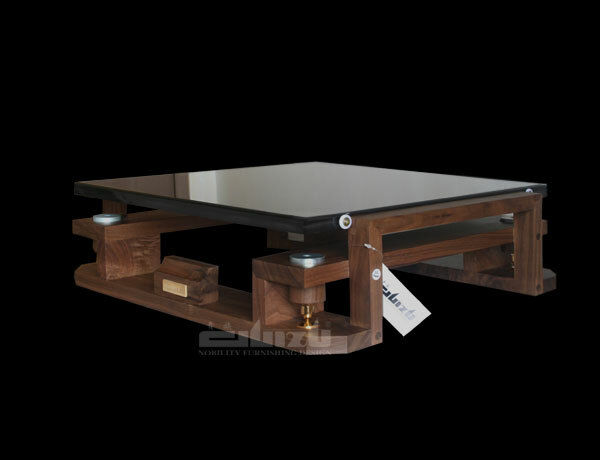 Specially designed magnetic floating device adopted by the table has been tested and proved experimentally. The stressed area of the floating platform is free from interference of the magnetic field, bringing no harmful effect to the equipment thereon. 2. Absolute level of the floating platform can easily be achieved by adjusting the height of the four leveling device installed at the four corners of the bare plate. 3. Maximum loading capacity within the designed effective height of the rack is 45kg, Its second capacity is showed in the marker. 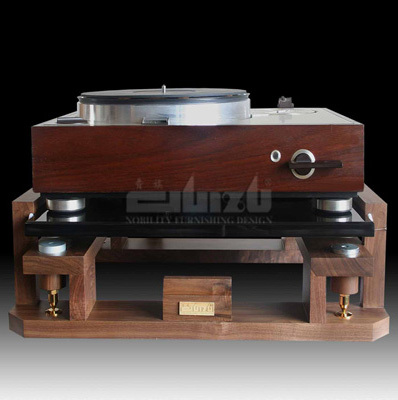 4.The table is specially designed for valve preamplifier, turntable, CD player, preamplifier, DA converter etc., with weight not exceeding 35kg. 5. Materials: Base plate is made of acrylic inert material. Base rack is made of N.American Walnut.